The Electronic Frontier Foundation (EFF) Thursday challenged the constitutionality of a law aimed at granting retroactive immunity to telecommunications companies that participated in the president’s illegal domestic wiretapping program. In a brief filed in the U.S. District Court in San Francisco, EFF argues that the flawed FISA Amendments Act (FAA) violates the federal government’s separation of powers as established in the Constitution and robs innocent telecom customers of their rights without due process of law. Signed into law earlier this year, the FAA allows for the dismissal of the lawsuits over the telecoms’ participation in the warrantless surveillance program if the government secretly certifies to the court that either the surveillance did not occur, was legal, or was authorized by the president. Attorney General Michael Mukasey filed that classified certification with the court last month. The constitutional challenge is set to be heard on December 2. 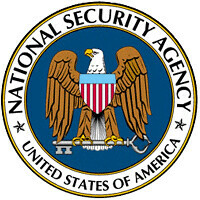 EFF has more information on the NSA spying issue.